Celebrating the historic 25th anniversary of the WildStorm imprint, this anthology graphic novel collects a senses-shattering blend of new content, hand-picked reprints and a select number of never-before-seen extras. In 1992 a revolution was kicked off by superstar creator Jim Lee when he launched his game-changing publishing imprint, and the modern comic book market was forever altered. 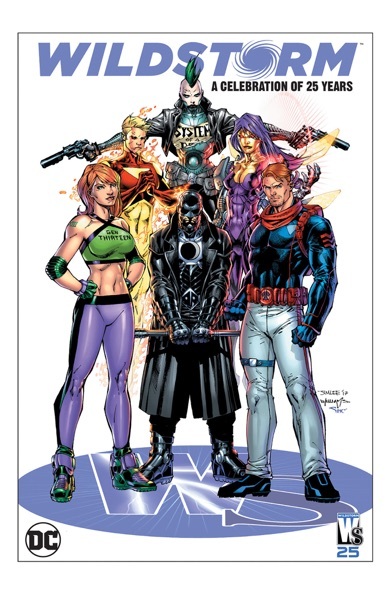 WildStorm Productions would go on to help revolutionize the industry and launch the careers of many top creators, including such names as Warren Ellis, Gary Frank, J. Scott Campbell, Adam Hughes, Brett Booth, Whilce Portacio, Tim Sale, Bryan Hitch, Dustin Nguyen John Cassaday, Humberto Ramos and countless others. Over the course of the last 25 years, the imprint, creators and characters have evolved in many ways, but will never be forgotten. This volume reprints WildC.A.T.s #1, WILDCATS (v.4) #1, THE AUTHORITY #13 & #14, short stories from THE EYE OF THE STORM ANNUAL and the Coup D’Etat Afterword. Plus, it features brand-new stories and pin-ups!